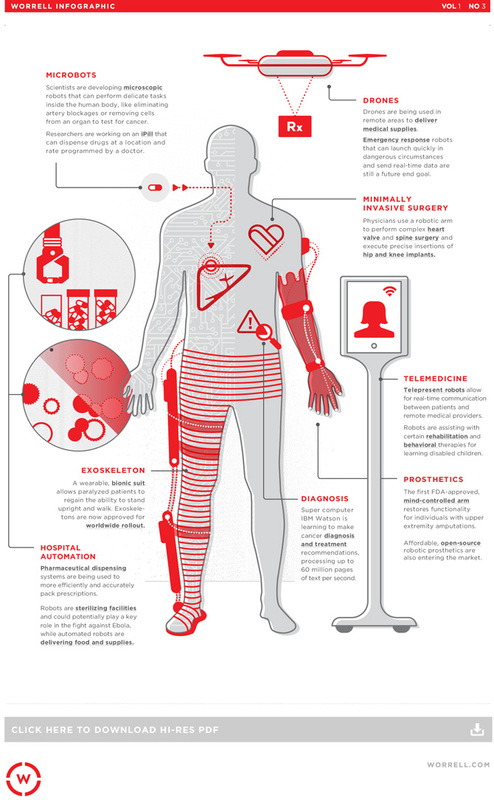 A new infographic highlighting noteworthy applications for robotics in medicine was produced by Worrell Design (Minneapolis) and physician-scientist Daniel Kraft. Included below are several items routinely covered on Qmed, such as microbots, drones, exoskeletons, and mind-controlled prosthetics. A high-res version of the infographic is also available from the Worrell Design website.